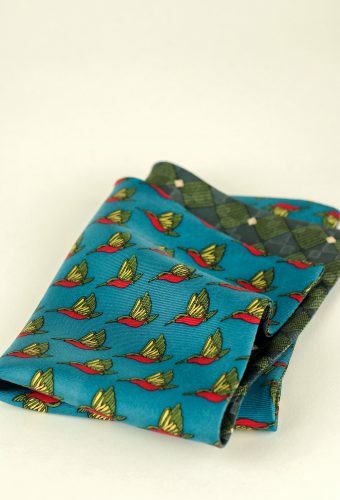 Our pocket squares are reversible each is handmade from two vintage neckties. You can make three different combinations from one pocket square: you can show both patterns or one of each. They are rectangular shape simply because we didn’t want to cut any of the beautiful fabrics and we love being different!